This guest post is written by Jade, business and legal strategist. Hey girl, hey! Imagine, going to school, getting good grades, getting married, getting the apartment (working on the house), and BAM you are BROKE as HELL! I did everything society told me. They told me to go to school and get a good job the problem is, they failed to mention a “good job” was determined by the needs and demand of society. I went to school to become a lawyer; unfortunately, by the time I went to law school and graduated the market was oversaturated with lawyers! OYE! That meant that many law school graduates made about the same as a manager at Walmart. It also meant that many who spent the extra years in school were struggling to keep up with their student loan payments. Many left the law practice and pursued other career options due to this saturation. Many of my colleagues are stilling looking for gainful employment eight years later! I, on the other hand, was lucky enough to land a job at a celebrity law firm. While I was given the opportunity to meet a lot of celebrities, I also learned the intricacies of running a business. I was very grateful to be given a job during law school that would continue after I graduated. Sounds like a fairytale, right? WRONG! I later learned that in Corporate America, women were treated very differently. Our opinions had very little value or significance. I also discovered the lack of mentorship available from my male counterparts. It was also a battle with getting paid on time and getting paid what I was worth. This incited an urge to want to create my own affinity group within the company to mentor other women as they entered the law firm. When I first started at the firm I was the only woman working there and I was just thrown to wolves. I learned a lot at the firm by failing and being reprimanded several times. As a result, I started ensuring that our firm accepted more woman candidates. I personally reviewed their application materials and interviewed them. Once selected for employment, I would conduct their orientation and mentor them. By doing those things, I realized one thing: helping women was my “happy high”. I found a sense of joy and peace when I was working with women one-on-one. 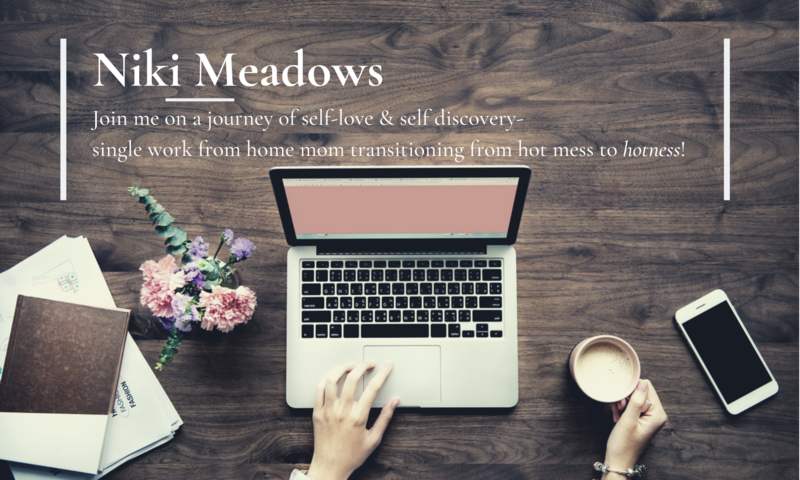 I started toying with the idea of starting my own business focused on personal and professional development for women. Thus, the idea of Search for Her Existence, LLC was born. I decided shortly thereafter to establish it as a business entity in Michigan. A couple months after establishing Search for Her Existence, LLC and hanging my little shingle, I found out I was pregnant. It was definitely a surprise pregnancy and had a major impact on my health. The pregnancy caused my lupus to flare when I was only 21 weeks pregnant. This resulted in me having to be hospitalized for the remainder of the pregnancy. The doctors told my husband and me that we needed to terminate the pregnancy because my health was at risk. Now, at this time I felt fine. I was only in the hospital because they felt I was going to have a stroke because my blood pressure was so high. I refused to terminate the pregnancy because I had a sense of peace of the entire situation. They were basically saying “Jade the Titanic is sinking” and I was just chilling looking for room service! My husband and the doctors were freaking out. I was adamant about birthing my baby by any means necessary. Now, during the time I was in the hospital, my employer was very insensitive to the fact that I was facing a life or death situation. They were requesting that I do (unpaid) work for them from the hospital! At that moment, as I read my text messages from my boss I realized I was not going back. I realized that I had been working so hard for a company where I was not valued or fairly compensated. My response to my employer was that they should seek another employee to fulfill my duties, as I wouldn’t be returning. At that moment laying in the bed, a huge weight had been lifted. But then my next thought was “holy crap! I need a job!”. Then I realized, this is it, this is my opportunity to see if the business I started will work. And I did just that after having an emergency c-section with my daughter at 24 weeks 3 days pregnant. She was born 1 lb 3oz. She needed to stay in the NICU for the next six months and I used that time to build my business. A couple of months after my daughter was released from the hospital I fell ill and had to admitted to the hospital. I found out later that I had the phenomena and I was in kidney failure! They had to start emergency dialysis immediately because they said I had so many toxins in my body from not being properly filtered through my kidneys that I was lucky I was still alive. Thus, my journey of dialysis began. I continued building my business despite this small setback. I am proud of the entity it has become through my trials and tribulations. It has become a business focused on helping women build businesses by wearing their #biggirlpanties. I didn’t have the opportunity to really prepare for my transition from my 9-5 to working fulltime for myself. I was thrown into the position of having to make a decision of whether to stay or leave my place of employment. My health and the uncertainty of whether I was going to live or not played a huge role in my decision to text my boss to look for another employee (or it could have been hormones). Either way, I don’t regret my decision. I have peace of mind and I don’t feel like I am compromising my value. What I want you to take away from my story, sis is that sometimes preparation can hinder you from going after what you really want in life because you are comfortable. Sometimes you have to find the silver lining in the storms that you are experiencing. Make the chaos or uncomfortable thing in your life work for you and your dreams. If you’d like to connect with Jade, you can discover the legal and business services she offers here. You can also follow her on Instagram or Facebook. Be sure to leave her some love in the comments, it’s incredibly courageous of her to open up and share her story with this community. This was such a beautiful and inspiring piece to read, and has definitely given me the motivation to work hard! !